Car-dependent suburbs are becoming less competitive as both young adults and a growing senior population are looking to drive less. Yet the effectiveness of fixed-route transit such as rail and bus will always be limited in areas that are sparsely developed. Technology now provides an answer to this dilemma, making it possible to link bus and rail service with options ranging from biking and walking to car-sharing and van services. With proper government oversight, private on-demand car services, electric vehicles, and shared autonomous vehicles can provide better service at a lower cost. Where destinations are closer together, fixed-route bus lines may continue to be the best option. The public sector will need to manage this change with a focus on equity to make sure new technology-enabled services are affordable and accessible for all. Suburbs were designed and built for automobile travel. When residential densities are too low and destinations too scattered, operating a comprehensive public transportation network isn’t viable. Although some corridors can support adequate bus service, residents mostly rely on cars for most, or even all, their daily trips. Traffic is choking many parts of the region; for low-income residents, needing a car to get to work can be cost-prohibitive; and for many others—including the disabled—getting around can be a real challenge. An established commuter rail network helps anchor the region, providing many suburban residents access to New York City’s enormous and rapidly growing job base. But not all suburbs currently have good rail options, as commuter rail fares are out of reach for many moderate- and lower-income families, while access to many commuter rail stations is limited due to insufficient parking or poor local transit connections. As a result, many families—especially those with low to moderate incomes—rely on bus service for their commuting needs. Technology has already changed the way we get around—but much more change is coming. On-demand services can enable custom routing and scheduling, with the possibility of limited ride-pooling. Where a large bus on a fixed route following a fixed schedule may be an inefficient and infrequent option, Transportation Network Companies (TNCs) can group people heading in the same direction at the same time by providing a small van to take them to their destinations quickly, efficiently, and at lower cost than traditional suburban cab service. As more customers use shared, on-demand services, the more competitive these services become compared to the individual car. Information technology also offers the promise of unified payment systems that facilitate trips involving multiple modes of travel. Today, these services rely on human drivers. But innovation is moving quickly, and autonomous—or driverless—vehicles could be the norm within the next decade or two. That transition is likely to trigger even more changes to the way people get around, further lowering the cost of transportation in low-density suburbs. I lost my job at the mall because they needed me to close and the buses stopped running after 9 pm. There are places in the region where public buses operating on a fixed route and schedule are essential, including Route 8 from Trumbull Mall to Bridgeport in Connecticut; Route 110 from Amityville Railroad to Halesite in Suffolk County on Long Island; and Springfield Avenue from Irvington to Newark Penn Station in New Jersey. These fixed routes can help reinforce denser land-use patterns and better designed road corridors with pedestrian and other amenities. Government agencies providing subsidies to individuals who wish to use TNCs to reach designated destinations (like a train station, or major employment hub) instead of providing direct bus service. The fare subsidies could also be given to specific customers—like people with disabilities—in lieu of providing paratransit service themselves. Public transportation providers contracting out for back-end technology from TNCs to help make daily operations more efficient. Private institutions like hospitals, universities, or other large employers collaborating with TNCs to provide faster, more efficient services for their target populations—while also supporting transit for other groups. On-demand TNC cars have started to compete with local taxis and car services to provide “last mile” service from train stations. So far, change has been limited because for many commuters it is still faster and cheaper to drive their own car, especially when they already have a parking space. But when a municipality needs to build a new parking structure or acquire land for more surface parking, it should consider redirecting those funds to subsidies for commuters who choose to be dropped off at the train station, whether by a TNC, taxi, or car service, instead of parking at the station all day. Summit, NJ, has undertaken such a pilot project. Instead of building a new $10 million parking lot, the municipality launched a pilot project to subsidize TNC trips for its residents. The pilot’s participants contribute $2 toward the cost of a trip to or from the station to anywhere in Summit, and the township picks up the rest of the tab—for a total of $167,000 a year, which is a fraction of the debt service cost of a new parking garage, to say nothing of the opportunity cost of the land. The program has had mixed success for a variety of reasons, and Summit continues to experiment with the model to promote participation at a cost the city can handle. Regardless, this business model offers strong potential if it can be scaled up. Municipalities and transit agencies that own land near commuter rail stations should consider redeveloping and monetizing these assets. As on-demand, shared vehicles, and then autonomous vehicles become more widely used, the need for parking will be reduced, particularly directly adjacent to the station. 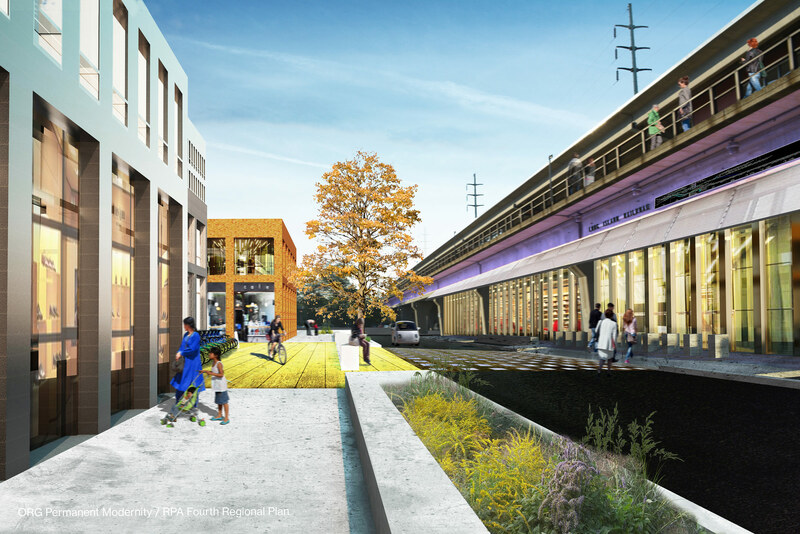 The public entities in charge of providing parking at train stations could redevelop their land into housing or commercial space and create a more walkable neighborhood around the station. The revenue generated from the sale could be used to subsidize TNC trips for residents who choose to be dropped off instead of driving themselves. The potential for these parking lots to provide housing, jobs, and tax revenue is enormous. 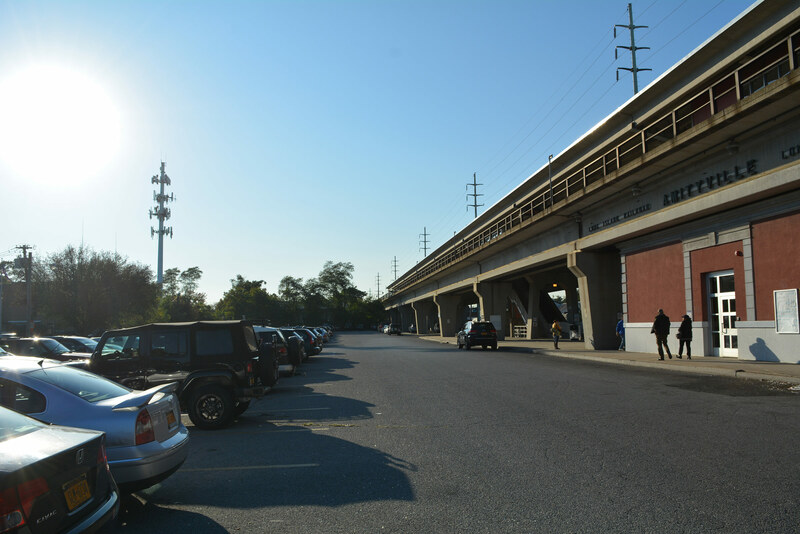 Even after reserving space for parking and pickups and drop-offs at the 353 commuter rail stations in the region, more than 7,500 acres of parking lots could be reconfigured and redeveloped to create more than 250,000 new homes and the shops, parks, and community services needed to support them. Approximately 1.3 million people in the region have an ambulatory disability, namely a difficulty walking or going up stairs. And with an aging population, the number of people with ambulatory disabilities will likely increase. Their transportation needs are not being met. The number of paratransit trips in NYC has tripled since 2000, but the current system is slow and unreliable. Booking a trip requires 24-hours notice, and service is often delayed. To meet these challenges, the MTA is looking to improve services using up-to-date technologies. But beyond the paratransit needs of NYC, there is also an opportunity to use on-demand platforms or similar technologies to expand services both across the region and for other vulnerable users. Examples include food shopping and helping expectant mothers or parents with children get to a doctor. Provided there are incentives and design standards for accessible vehicles, TNCs could be a more affordable and efficient alternative to conventional publicly operated paratransit services—this approach should be explored by the city and other public operators in the region. The advent of on-demand, shared, and autonomous vehicles could yield great benefits both for those who can’t or don’t wish to own a car, and for transit providers who could cut their costs. But there are concerns to stay aware of. Technology evolves quickly, and technology companies will always be ahead of the curve. But it is important for the public sector to invest in technology-savvy employees and be flexible in the procurement process to stay nimble. TNC companies are for-profit businesses and although public-private partnerships can be very productive, the public sector must be diligent about requiring and enforcing service-performance measures, collecting data, and keeping their private providers’ fares affordable. As driverless vehicles increase the convenience and reduce the cost of traveling, measures must be taken to ensure they do not simply encourage longer travel distances, generate more traffic, and cause more sprawl at the suburban edge. This may require other strategies to mitigate long-distance travel, such as pricing and land-use controls. With proactive planning and innovative policies, on-demand services and autonomous technologies should drive the costs of mobility down in suburban areas while significantly improving access for lower-income riders or riders with disabilities. These services would improve safety for the elderly, women, and young people during late nights and weekends. Over time, they would also free up parking spaces for repurposing as new public spaces, affordable housing, bike lanes, or freight pickup and drop-off zones. The goal is to create an integrated mobility system that gives users multiple options for fixed-route transit or on-demand mobility. The cost of improved service would be partially covered by the efficiency gains of on-demand transportation and eventually the labor savings through autonomous operation. However, local subsidies would likely be required to provide greater frequencies in less dense places. These subsidies could eventually be paid for through value-recapture as parking lots are redeveloped for other higher-value uses over time.